We’ve had fun with Airships and aquatic adventures, but now it’s time for some nitty gritty. And few levels are more challenging than Castles! 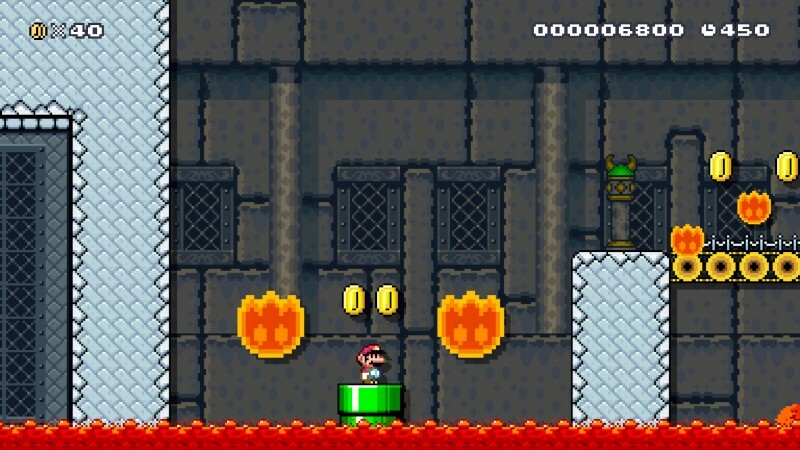 These intense levels have lots of dark hallways, tricky traps and challenging boss fights. Plus, you can’t go wrong with the great tunes found in all the Castle styles. In this edition of Making It Rainfall, we have all sorts of challenging castles to share. They run the gamut from basic to quirky to hard-as-nails difficult. But, as always, I have played through each of these submissions to verify they are all totally beatable and fair. Just don’t expect them to be too easy. Without further ado, let’s see this weeks’ levels! Everybody has played castles where you have to avoid traps and enemies, but very few have experienced one like this. 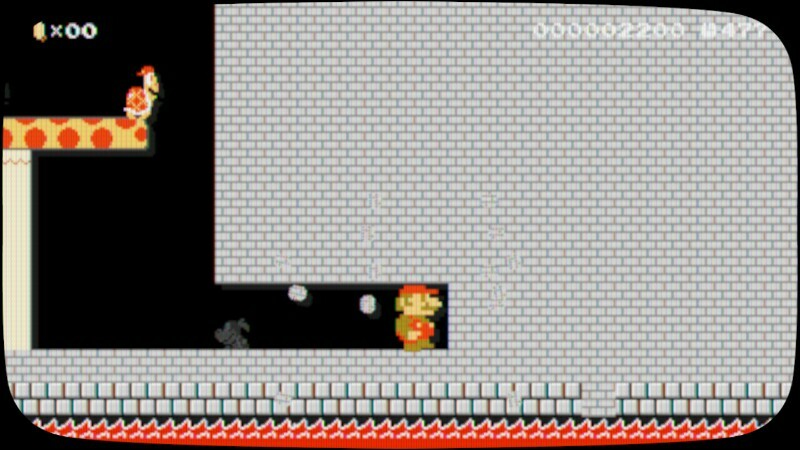 In The Great Wall of Bowser, you have to break through the castle using a Mega Mushroom. That might sound like it makes things easier, but you have to be wary of all sorts of traps and pitfalls that can spell instant doom. 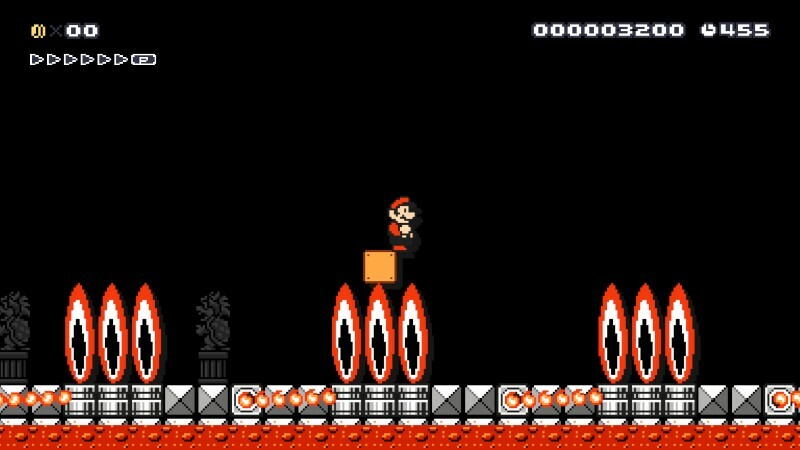 If you take damage, you’ll shrink back to normal sized Mario, and be unable to finish the level, so be diligent and don’t hesitate! Though this one takes place in a castle, I hesitate to call it a Castle stage. This is another unique level where the goal is to make it across a pathway of buzzsaw blades using a Kuribo’s Shoe. 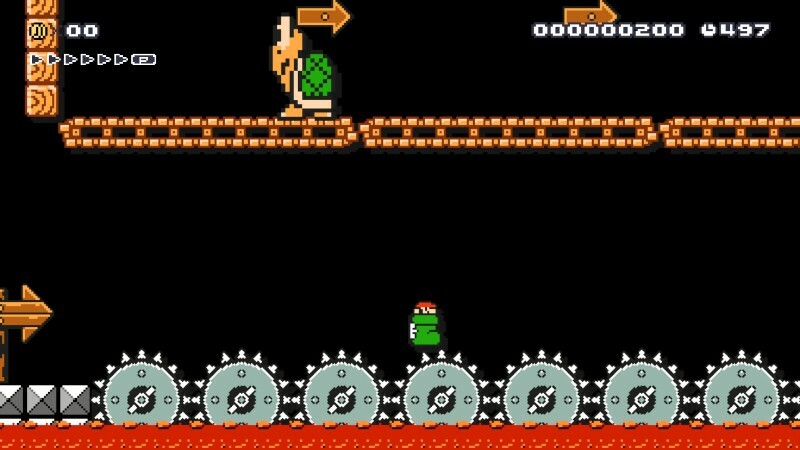 If you don’t make it fast enough, Koopa the Quick will become a very hard to avoid level hazard that blocks you from the exit. So get your shoe, and get hopping! I’ve been playing a lot of Super Meat Boy lately, which probably is why this level is a bit more challenging than most. It requires lots of precise jumps off of Bullet Bills and dodging traps to succeed. It also has a mini-boss fight and a final showdown right before the exit. 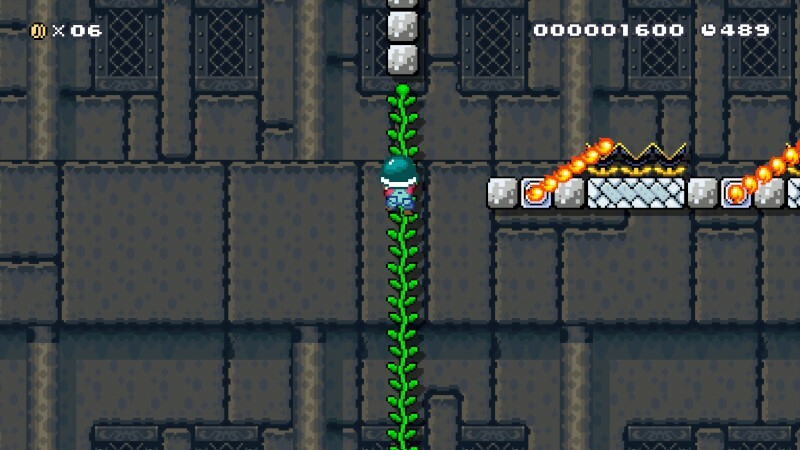 For those who are inquisitive, there is also a hidden block with a Fire Flower to help you out. Just be careful of all the Buzzsaws, fire traps and other goodies. 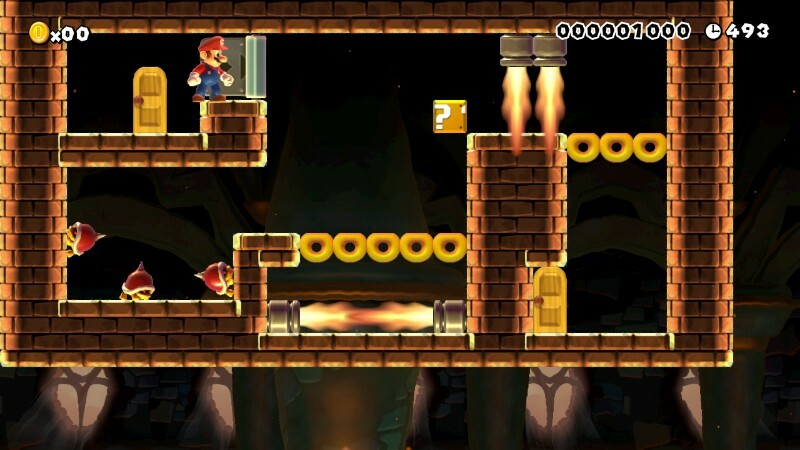 This level is what happens when Bowser lets his little brat Bowser Jr. make his own Fort. In other words, this is a tricky, irritating level. Make sure to get the Buzzy Beetle helmet at the start, otherwise those Thwomps will crush you. And I hope you like fire, cause there is lots of it here. Finally, the level culminates in a battle against Jr. himself. Put this brat in detention! I wanted to try something different with this level. Terror Towers is separated into 3 “towers” that are all sub areas full of enemies, traps and nastiness. It’s not too hard if you’re patient and pay attention, but the unwary will be taking some damage. The hardest part is the final boss fight at the end, but if you look carefully you’ll find a hidden block with a Star inside. A challenging and fun level. This level can be a little challenging but its not as hard as it might seem at first. The best strategy is to take it slow. Rushing things will only get you into trouble in this level. Slow and steady wins the race, after all. This castle contains a couple of hidden areas, and a few secret 1Ups sprinkled around. There are a few spots where you can choose one of two ways to go. The first is in the starting room. There is a way up to the corridor without bullet-jumping. One alternate path requires you to keep a certain item long enough in the level so you can use it to break into the secret path. 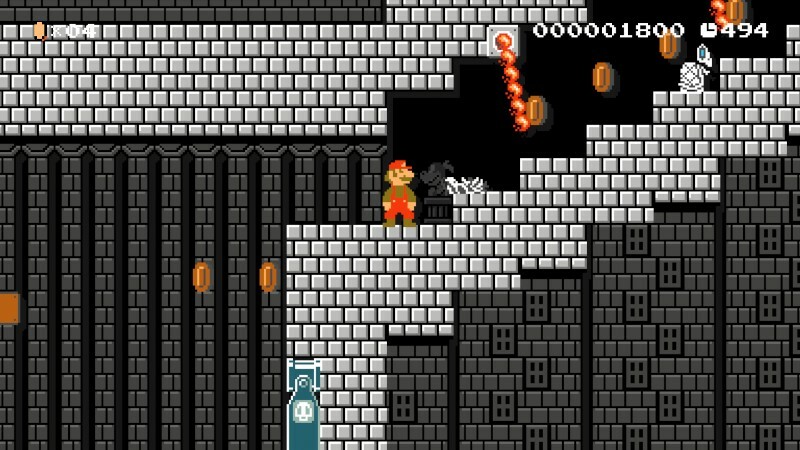 Can you get past all of the fiery obstacles and kick Bowser’s behind? For this level, I decided to do an auto-scrolling level. It’s the first level of this type I’ve made so far. It also adds more pressure on the player because you have less time to plan your moves. Bowser is of course waiting for you at the end, but you’ll have to get past his many obstacles first. I also made it so the sub areas scroll one notch faster than the overworld areas in this castle. There are a few hidden 1Ups around again too. That’s it for this week! We hope you enjoyed the extra level provided, since normally you can expect 5-6 per week. Make sure to join us in a couple weeks for our next Making It Rainfall, which will be Halloween themed levels! Until next time.